Falling can be a serious incident for many seniors that can lead to severe injury. Do you worry about your loved one losing their balance while using the bathroom? Are you scared they might fall down when going up a flight of stairs? These can be scary situations and no family member could ever feel at peace when they leave their loved one alone at home while they struggle with mobility issues by themselves. One of the best things you can do for fall prevention is daily stretching. This has many health benefits including improved flexibility. It can also help improve your balance. There are many different kinds of stretching techniques you can try such as yoga. Stretching can also help you avoid injury in the event of a fall, so it is something that is well worth your time. Another fall prevention method you can try is to install railings throughout the property. These railings can provide you or your senior loved one something to hold onto to help maintain your balance as you move around the house. These railing can especially be helpful in the bathroom where the floors can become slippery and dangerous when wet. Lowenhill Home Care Services offers many different kinds of personalized services designed to make life easier and one of these services is mobility assistance. 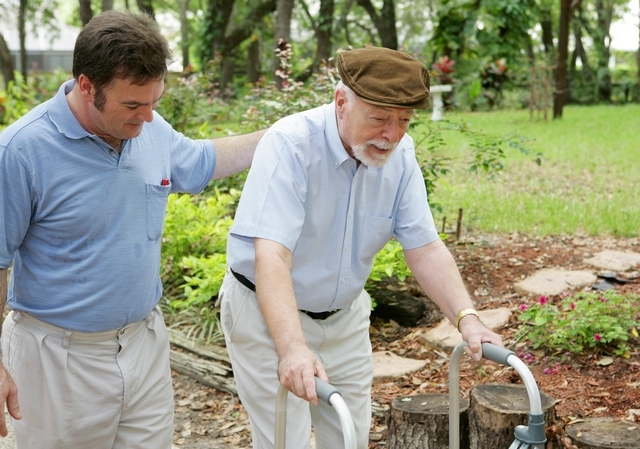 Our respectful caregivers can help you move around with ease. With a professional nearby, you do not have to worry about a thing, even in a fall because we are right there to render the assistance you need. Through this service we can help you with many things such as getting out of bed, transferring from a wheelchair, or helping you walk. Another crucial component to fall prevention is the installation of ramps. Stairs can be very dangerous for many senior citizens, so either switching to a single story home or replacing your stairs with ramps can be a huge benefit. Falling might not seem like a big issue but for individuals at an advanced age, this can be quite a dangerous problem. This is why fall prevention is so important. With our support, we can help you maintain your independent lifestyle through mobility assistance and some fall prevention measures in your home.